Building a workplace that Millennials thrive in doesn't mean getting rid of everything that worked for previous generations. As you can see from this extensive collection, they're very traditional in some senses - they want good compensation, fair benefits, friends in the office, the chance to grow and develop, and a few corporate perks thrown in to sweeten the deal. But their unique circumstances and background have led them to approach companies with a different perspective. For example, being raised in a layoff culture has led them to view loyalty in terms of months, not years. Also, their mobile technology-centric lifestyles have made them view the traditional, 9-5, cubicle-dwelling work arrangement as outdated. To help you decipher and engage this generation for your company's success, we've compiled every relevant piece of data about Millennials in the workplace we can find. As with our other statistics pages (employee engagement and loyalty, 2016 edition), each stat comes with links to the original sources. 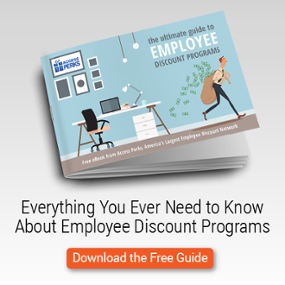 This data is compiled on behalf of Access Perks, provider of America's best employee discount programs. We'll update this page frequently, so grab a bookmark or subscribe to the blog for the latest and greatest information.